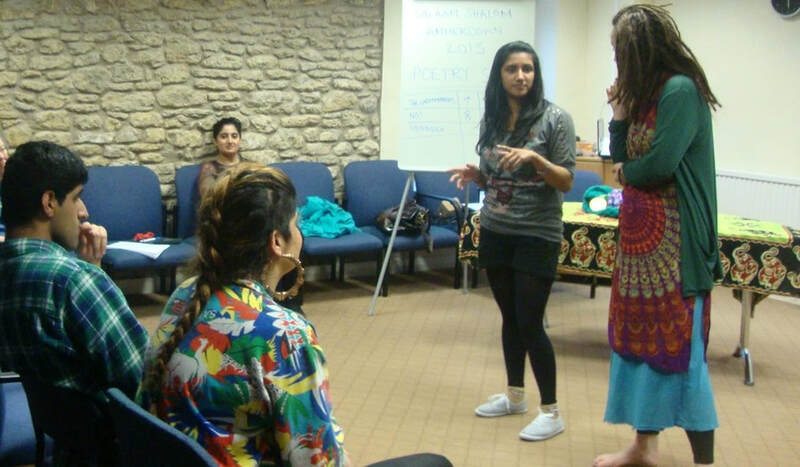 She has facilitated workshops with youth groups and community groups, and schools around the South West, teaching performance poetry to primary, secondary, state and independent school students. Shagufta has also worked with schools, universities, and youth groups in the Isle of Jersey, Northern Ireland, West Bank, Palestine, and Brussels. Workshops are aimed at Schools, Youth Groups, Community Organisations, Art Centres, and Festivals. If you are interested in speaking to Shagufta about a One Day Workshop, or wanting to arrange a Series of Workshops, please use the Contact Form for further information.